I figured since the rage online these days is to post something that is related to a "Throwback Thursday," I'd do one here as well. We're not going too far back this time. Let's step back to 1992. And, let's go clubbin' - Stadium Club-bin', that is. Wow! Congrats to the Kazis who pulled two cards out of this pack! Also, congratulations to the other managers who snagged cards for their collections - or for trade fodder! Tomorrow (Friday), I will post up-to-date game results in the OOTP league, so everyone can see how their team is doing. I am planning to open the draft on Friday evening, but we will just have to see how things go. Sometime this weekend, though, the draft will open up! 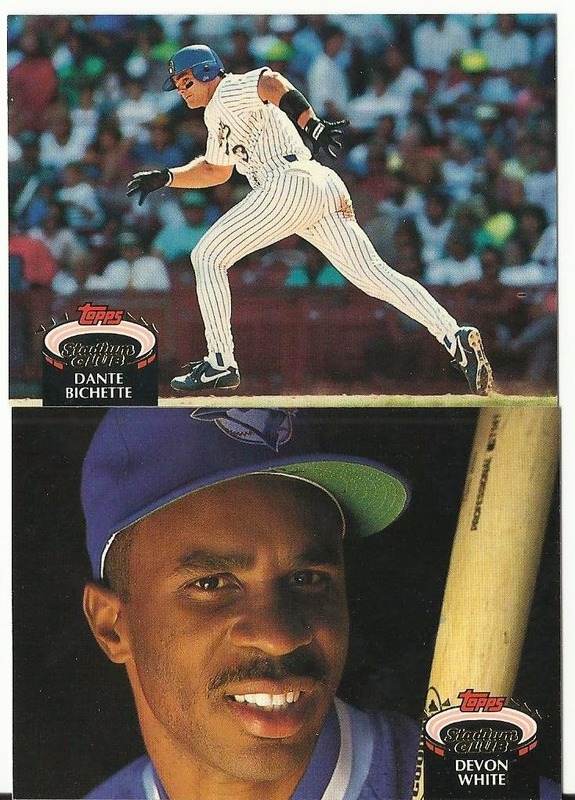 It makes me sad when I see a non-Rockie Dante Bichette card, but I'll take it.